Amazon haul #3 – Skincare products! I recently went on a shopping spree on Amazon!. I have been meaning to look after my body more and invest in more products as much as I look after my face. 1) Tree Hut Shea Sugar Body Scrub (Brazilian Nut) : I occasionally do at- home body scrub DIY. However, I never was consistent with it. Probably it’s me being lazy but I wanted myself to be consistent with scrubbing my body and so I decided to get myself some good quality body scrubs that I can reach for any time. Tree Hut body scrubs are really known. They have different colors based on the ingredients like Almond & Honey, Hawaiian Kukui, Coconut Lime and Original Shea but what caught my eye was the Brazilian Nut one, which was brown in color. It contains Organic Shea Butter, Avocado oil, Safflower seed oil, Evening Primrose oil, Sweet Almond oil, Macadamia seed oil, Orange oil and is infused with Brazilian nut oil. For the abrasive part, it contains real sugar grains and ground walnut shells. I fell in love with the ingredients list. Each tub contains 510gms. Now what surprised me the most was the price. It was only $17.94 (AED 65.89). That’s not the price of one tub. It’s the price of three tubs!!. So I bought two sets (6 tubs). I gave one full set to my mom and sister in law. The quality of this scrub is just amazing. It really buffs away dead skin cells to reveal glowing, smooth and soft skin. It gives a beautiful and healthy glow to the skin. I expected it’s smell to be nutty however it smells of coffee. It’s a very strong smell. First time I smelt it, I didn’t quite like it. But when I first used it, the smell calmed my senses and was very relaxing. It lingers lightly on your skin for some time after which it fades away. I now am a big fan of the smell. I use it twice a week. I first wet my body, then take a bit of the scrub and work it onto the wet skin. I start from my feet and work upward in circular motion, to get the blood flowing. The entire routine is so relaxing. I have used it only for a few times but my skin is incredibly soft now. I particularly notice that the skin on my elbows and knees, don’t feel ‘bumpy’ anymore. I am in love with this scrub and I highly recommend you try this budget friendly brand. 2) L’Oreal Paris Age Perfect Hydra Nutrition Golden Balm – I bought this for my mom. This balm is for the face, neck and chest. It contains 10 precious oils, combined with skin strengthening calcium to attract and maintain moisture in mature skin. This product is meant for people with thinning, mature skin. So, I would say it’s perfect for people who are 35+. It comes in a maroon colored glass container with a golden colored lid. It contains 48 gms. The moisturizer is a cream/golden colored one and has very slight shimmery appearance. It has a balm like texture and gets absorbed super fast into the skin, leaving it hydrated and soft. The smell, Oh god, is just deliciously beautiful. I couldn’t stop smelling it once I tried it on my hand. This product costs $12.79 (AED 46.98) and I highly recommend it if you have mature skin which is in dire need of hydration and care. 3) Merben International Soft Texture Jute body brush with cotton cord handle – I have been wanting to start body dry brushing, in my quest to achieve the softest skin ever. This jute brush is really great and not highly abrasive. It’s not soft either, though it looks like that. This one is 13″ in length. I found it perfect to reach my back. If you would like a shorter version, there is a 9″ one. This is a perfect starter’s brush, if you are thinking of starting body brushing. I will be writing a post soon about dry body brushing in detail and share more pictures of this brush then. Please stay tuned for that post. The price of this brush is $26.46 (AED97.19). Amazon ships right to your door step. I placed this order on 27th April, 2014. On 30th, it was shipped from US. On 4th May, it had reached Sharjah. That’s quite fast shipping. However, Aramex literally messed up the shipping, once it reached in UAE. 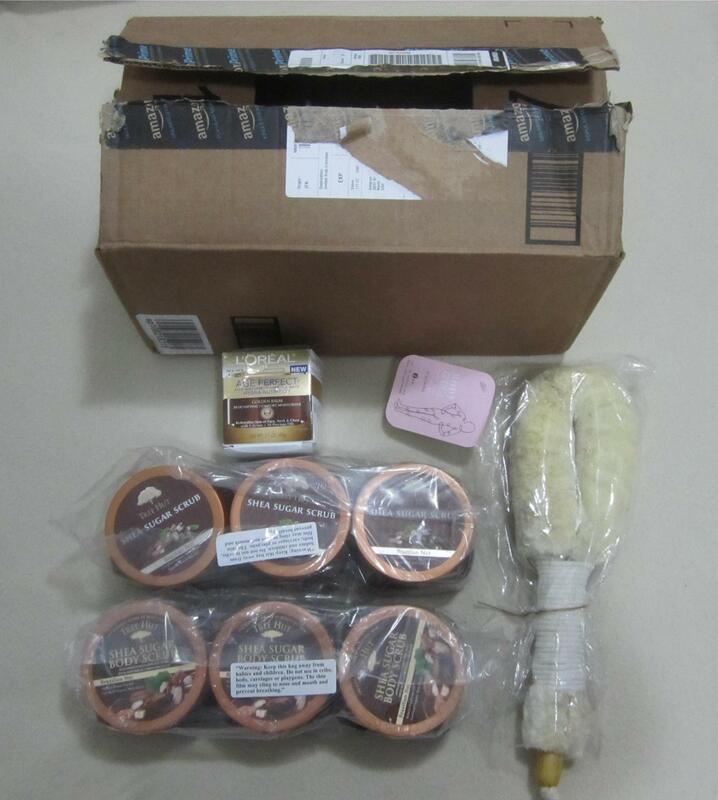 If you look at the shipment tracking below, you will see that they kept it ‘In Hold’ for days!. On Hold means it’s kept at their holding facility in Sharjah. Then they took it out on their van on couple of days, in the morning, for the purpose of delivery and simple lugged it around until evening when it was returned back to the facility. I complained to Aramex telling them I couldn’t understand for the life of me why it just can’t be delivered to me!. They called back to apologize and said it won’t happen again but didn’t give me a definite reason as to why it happened. Finally on the 10th May (Yeah, 6 days after it reached Sharjah!) they called asking for my location. That was precisely when I had stepped out of my flat to go shopping. I asked them to bring it the next day as I was not at home. However, the delivery guy was adamant that it be delivered the same day. I don’t know if it’s the sheer weight/size of the package (Those scrubs were 1/2 a kg each!). So I finally asked him to drop it at a nearby supermarket. In the night, it was in my hands. Everything made it in one piece and that’s all I cared for then. I don’t really blame Amazon for this error. Aramex is the one to blame for their silly attitude. The shipment charge by the way was $42.09 (AED154.60). That is the most I have ever paid for shipping I guess!. But it was indeed a heavy box. I hope you loved my haul. Do comment below and let me know what you do to keep your skin soft and smooth. iHerb haul #1 – Skincare oils! 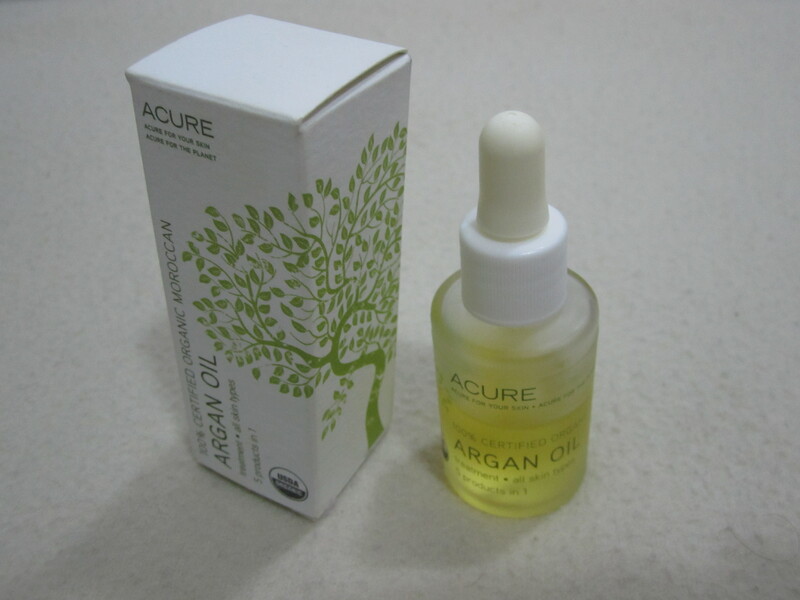 1) Argan oil by Acure Organics – The first thing I searched for on this site, is Argan oil. I have heard people rave about it for so long. 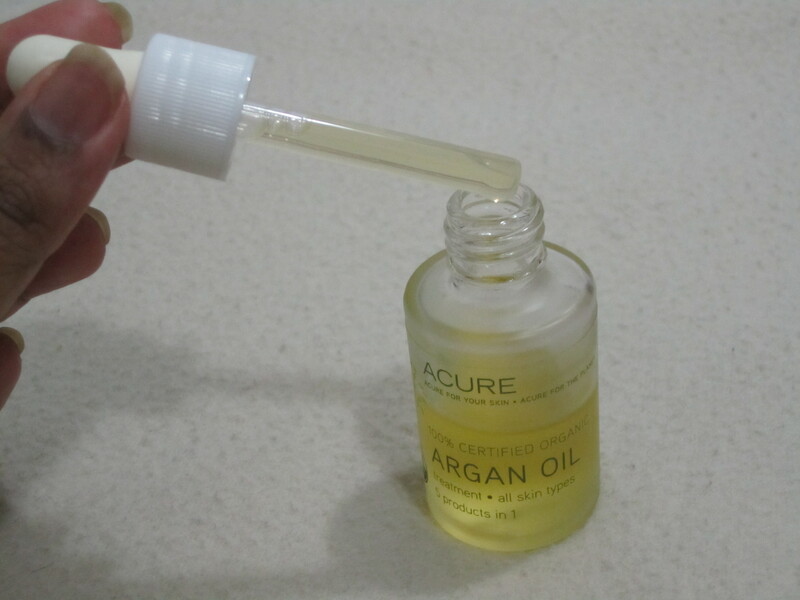 There are three really known brands that sell 100% organic Argan oil (according to some survey). They are Josie Maran, Eden Allure and Acure Organics. So I decided to give Acure a try. I love the packaging. A beautiful Argan tree printed on recyclable packing. The oil itself comes in a glass bottle with a dropper. It’s golden yellow in color and has a nutty/woody kind of smell. Some might say it’s harsh/very strong but I loved it!. Anyways, the smell dissipates within seconds. So, even if you don’t like it, you don’t have to worry about the smell lingering on. It’s very lightweight and gets absorbed fast into the skin. It doesn’t feel greasy at all. I can say my skin absolutely loves this oil. It leaves my skin looking radiant and feeling soft. I use 4 drops on my face and 2 drops on my neck. A little goes a long way with oils. 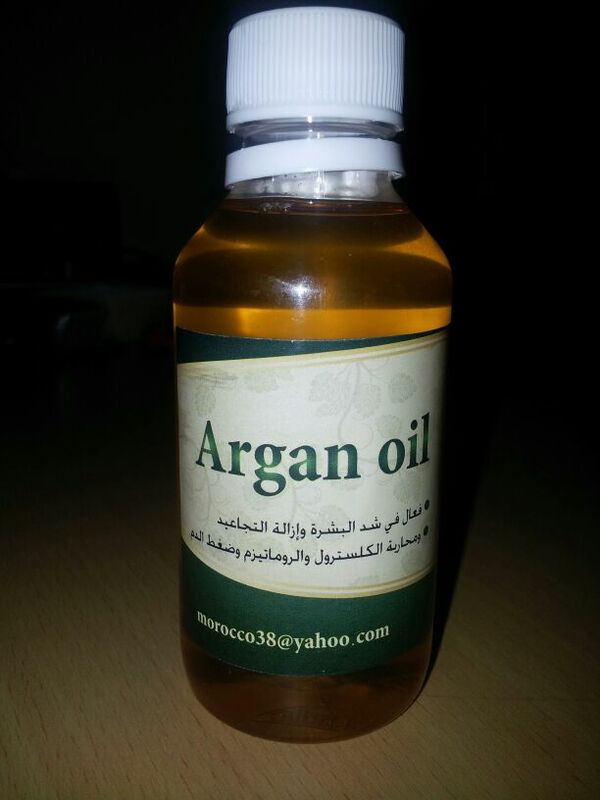 I highly recommend you try Argan oil. What I loved about this brand is that the Argan oil is sourced from a woman’s cooperative in Morocco and is sustainably harvested to protect the bounty of the Argan Tree. Price: $12.94 (AED 47.53) for 30ml. 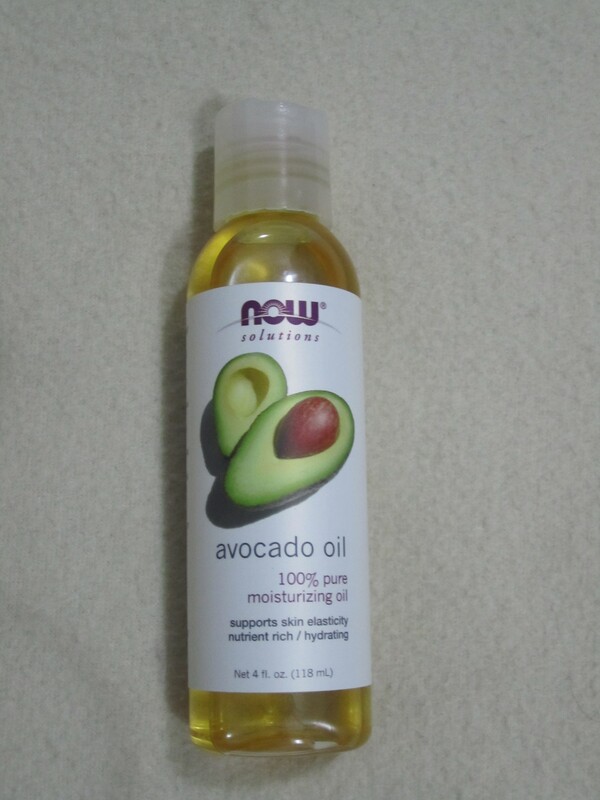 2) Avocado oil by NOW Foods : It was December that I placed the order on iHerb. Winter time in UAE. It’s that time of the year when my skin leans the most towards ‘dry’. That’s what made me choose Avocado oil. It’s so hydrating, healing and nourishing. It comes in a plastic bottle with a flip open lid. Avocado by itself is a source of vitamin E. The oil is very thick and heavy. It looks very oily when applied on to your skin. It doesn’t have a distinctive smell. I use 4 drops on my face and 2 drops on my neck. 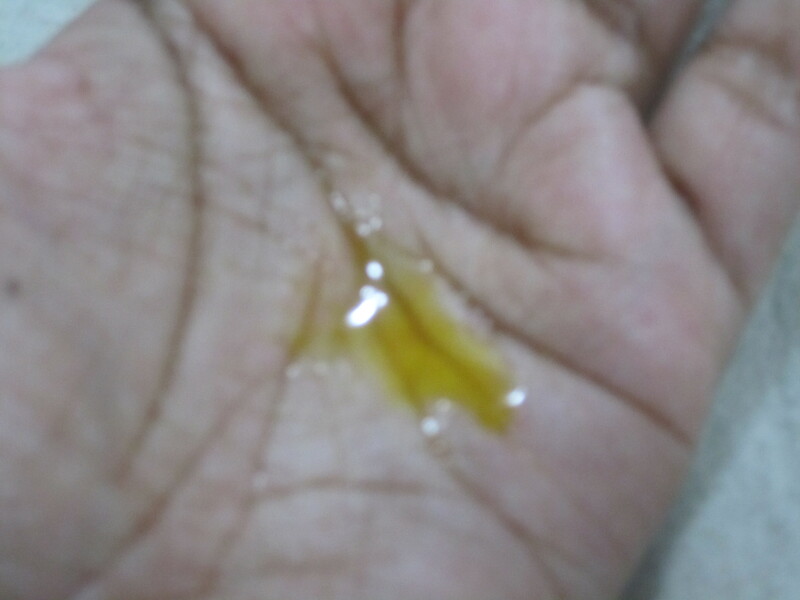 During cold mornings, I slather my face with this oil and it helps my skin fight dryness. When applied overnight, by morning the oiliness is gone because it’s all absorbed by the skin. It’s truly hydrating and I highly recommend this product to you. Price: $5.34 (AED19.61) for 118ml. 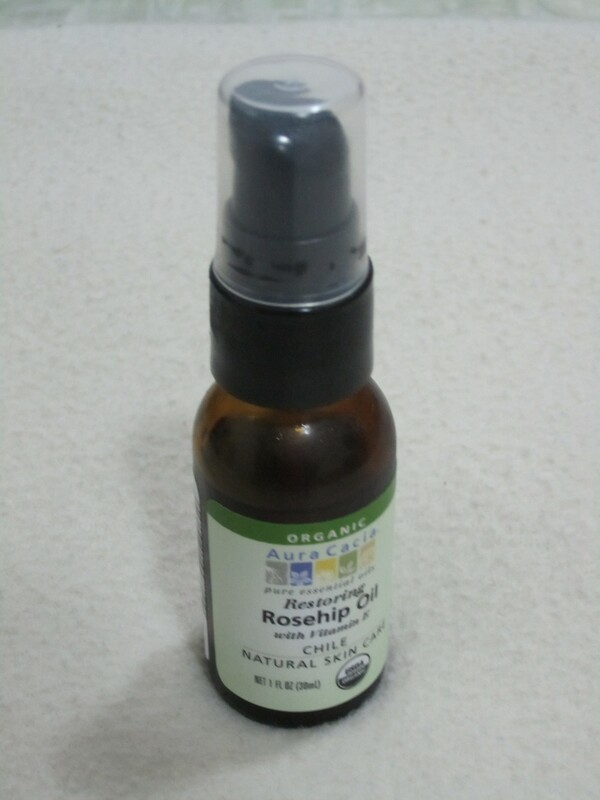 3) Rosehip oil by Aura Cacia : I read about Rosehip oil when my friend Kate of Sleeping Bootay did a post on it. I wanted to try it then. Trilogy is the best brand selling Rosehip oil but Aura Cacia is well known too. So that’s what I bought. 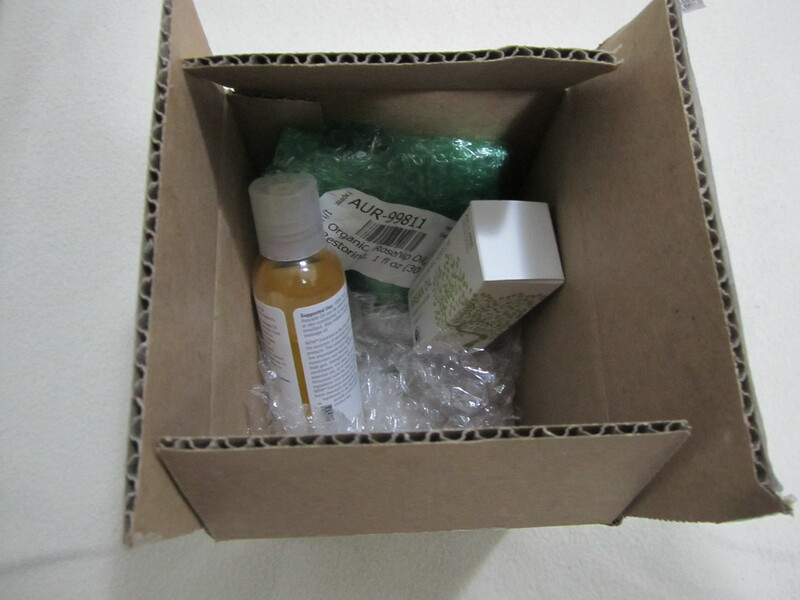 The product came in a dark colored glass bottle with a pump, which I thought was so neat and hygienic. This oil is full of Vitamin A and C. In fact, this is a natural product similar to Retin A, retinols or retinoids. It brightens up the skin. I love the glow it gives. It’s yellow in color, because of the presence of natural beta-carotenes (which gives carrot it’s bright orange color), without any artificial colors added to it. Obviously I thought it would smell heavenly like roses. But it couldn’t be further from the truth. It smells like fish oil!. Disgusting right?. Well, at first I thought, did my bottle go rancid?. But no. I ran a search and found other people finding it the same. So yeah, it’s normal. But the smell dissipates within seconds. So I can live with that!. I use 2 pumps of it on my face and neck. Also normally rosehip oil is sourced from roses in Chile. 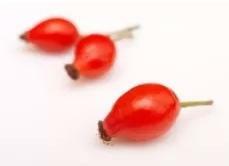 Aura Cacia’s rosehip oil is also from Chile. That’s one reason I chose this brand. Price : $9.34 (AED 34.31) for 30ml. 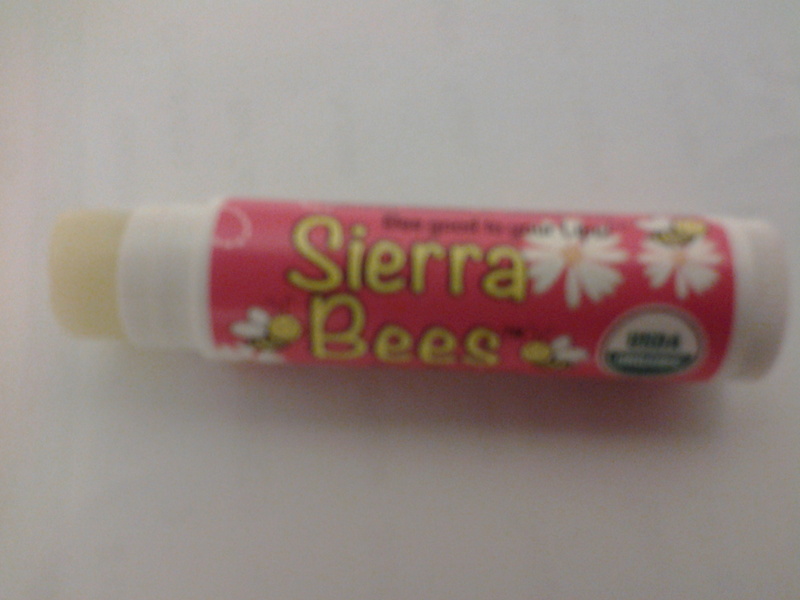 4) Organic Pomegranate lip balm by Sierra Bees : This is the freebie I chose. I love pomegranate. So when I saw this organic lip balm with pomegranate oil it, I found it interesting. It also has extra virgin olive oil, sunflower seed oil and vitamin E in it, all of which are organic. It also contains beeswax and looks exactly like it. It’s a dull color. It’s so nourishing and leaves your lips smooth and pampered. Price : Free item. But if you order it a second time, you got to pay the full price which is $1.95 (AED 7.16) for 4.25 gms. I had chosen DHL for this shipment. This was probably the fastest shipment I ever got. Within six hours of placing the order, I received an email saying it’s all been shipped!!. I was wonder struck. What an amazing service from iHerb. Within three days it had made it’s way from US to UAE. It reached here in the night and as such it was the next day morning (Fourth day) that I received it. I am just in love with their tracking service. Within those 3 days of transport, there were 15 updates. I could see where all the package was going through, in so much detail. It was so exciting watching it’s progress, knowing it’s getting closer to me! Everything was carefully packed in a cardboard box marked ‘Fragile’. 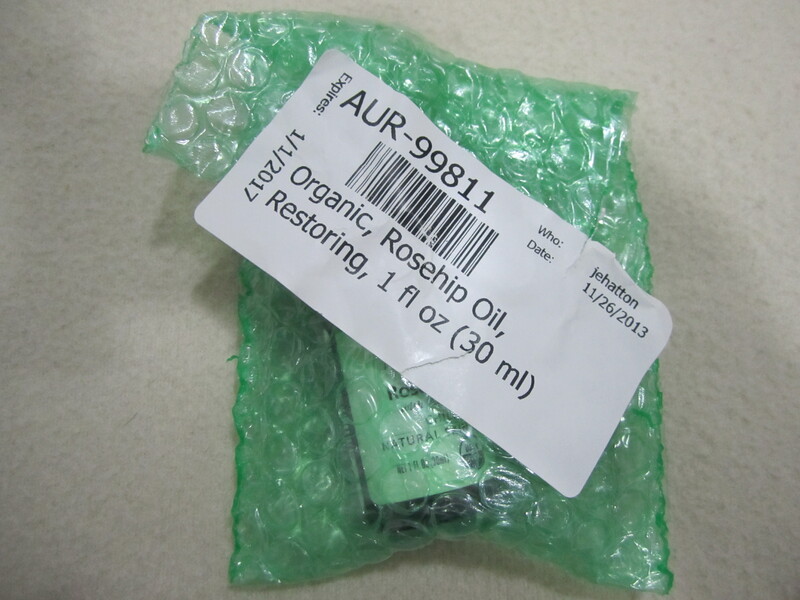 The rosehip oil was bubble wrapped separately. Though I do not break out normally, it was a first for me to apply any kind of oil on my face. So I didn’t want to take a chance and thus did a 3 day advance patch test. I suggest you do the same too before trying any of these oils. One of the main reasons I chose all of these oils is that they are multi- purpose. You can use them on your face, body and hair!. I use them mainly on my face (on lips too but never tried around eyes), occasionally on my hair and rarely on my body. These three oils are beneficial in similar ways but still I bought them all because it’s good to treat skin with different products. You can use these oils morning or night. However, I prefer using them at nights except for Avocado oil which I also use on cold mornings. These oils can be used as a moisturizer by themselves or be layered just underneath a moisturizer or mixed with a moisturizer and applied. I highly recommend iHerb. It’s god send!. They are just so amazing. Money well spent!. Can’t wait to go back and buy more stuff!. It’s so irresistible. Use the discount code SCZ695 to receive $5 or $10 off your first purchase!. iHerb ships worldwide ♥. Hope you loved my mini haul and the reviews. Please leave feedback in the comments below. I would very much appreciate that!